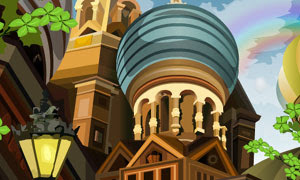 Hidden Treasures is a another online hidden object game by dailyfreegames. This is a hidden object game. The objective is to find all of the objects that are hidden. This game has three different levels. To pass each level, you must find all the hidden objects shown before time expires. If you need assistance, use the hint option. You are only allowed three hints per level, so use them wisely. Have fun.